Connection, credibility and proficiency in language are key factors for success in Russia. According to Dr Cherian Eapen, founder-president of ROY International Consultancy, Inc., Russia is becoming increasingly competitive in what is seen as a traditional Indian stronghold - outsourcing in the IT sphere. ROY International Consultancy, Inc. is the company specializing in systems integration, design, implementation and support of complex hardware and software solutions. 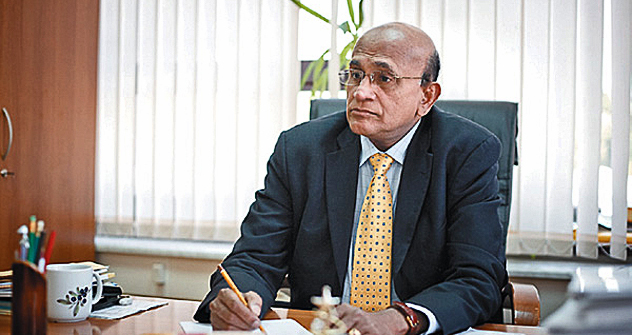 Dr Cherian Eapen says it’s not an easy deal to win over the Russian IT market. According to Dr Cherian, the key factors in the Russian IT business are connection, credibility, risky investments and taking into account the language. However, in Russia there are opportunities to try innovative solutions and implement advanced IT systems, in particular, in the oil and gas, metallurgy, pharma business - the three pillars of industry where Indians working in Russia achieve most success. “With the versions of software going up every year in the world, their current high level of development makes it impossible to just sell in Russia everything like 1990s. At that time, a modern basic computer had more power than the Russian indigenous computers, with 400 sq. meter cooling systems, etc., which was used for the launching of the Sputniks, even with the first cosmonaut, Yuri Gagarin”. And besides, the present situation is aggravated by the recession, with the entrepreneurs as well as shareholders of organizations getting less interested in investment than they used to be in the more prosperous IT period 1990 / 2000s. STUDIES: Dr Cherian Eapen is PhD in Engineering, the Moscow Institute of Power Energy. ACHIEVEMENTS: The company Dr Cherian founded Roy International, Inc. has been in the Russian market for almost 25 years. Dr. Cherian distributes most of the profit of his company for charity purposes in India, Russia and in the USA. ROY International Consultancy was founded in 1988 and was the first to import the New Technology computers based on Intel processors. Then it became the first partner of UNIX based SUN Microsystems (now ORACLE Hardware) in Russia. Dr Cherian recalls his cooperation with many world leading Computer companies, particularly, SUN Microsystems in the 1990s. The first steps in their partnership were not easy. With the COCOM permission, ROY imported to Russia, the innovative technologies from the USA, starting from 3 Motorola chip based computers, from WIPRO/SUN India. “I went to the US and talked to SUN representatives for high end machines. They were not at all receptive. But, they sent me to their Singapore office. In turn, they sent me to Hong-Kong, then to Germany and finally to England. Again in California, the meeting with Vice-Presidents of the SUN Corp., and SUN’s Country Manger of Great Britain and Europe made the historical decision to export SUN systems directly to Russia.” Then his innumerable, long voyages between Moscow and Menlo Park, San Francisco, made the cooperation with the SUN Microsystems with Russia. SUN Soft started their s/w development activities in Moscow and St. Petersburg, creating a lot of jobs. Teaching the UNIX operating system to Russians were one of the most credible work that ROY had undertaken. It enabled the Russians to use all computers, with UNIX OS. This enabled and qualified ROY to bring the first Super Computer from USA, to the former Soviet Union Geography, clearing all legal formalities and Cocom embargo. The first super computer was commissioned, at Tat-Neft-Geophysica, on January, 1, 2000. Currently, in Russia the seismological modeling, consulting on the optimization of the field works’ process, improving the quality of processing and interpretation of the data are especially required, and this is where IT sector plays an increasingly important role. Dr Cherian believes in diversification of activities and development of high technologies in a variety of fields allowing to flourish, even in the times of economic slowdown.